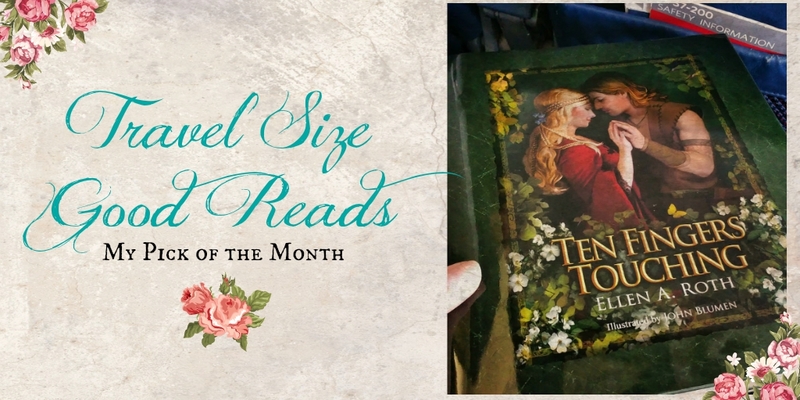 Ten Fingers Touching by Ellen Roth is an adult fairy tale realized in full color illustrations, short fairy tale chapters and a perfect vintage styled hardcover. I get a lot of reads given the nature of The Fairytale Traveler. Sadly, there’s just not enough eyes to go around. So, when I got the press invite for Ten Fingers Touching I almost turned it down. Something told me to ask for a summary from the author. Maybe it was our kindred spirits awakening a little voice telling me to dig deeper…Glad I did! Set in the Middle Ages, Ten Fingers Touching is a heart-pounding, romantic and magical story of the love shared by Martak, Master of the Forest, and Marianna, a beautiful and intelligent maiden. Marianna was educated by her father and is engaged by the court to be the governess to Princess Rosy, a lovable but mischievous child. Destined for one another, the relationship between the lovers, Martak and Marianna, unfolds against the backdrop of the climactic battle between Good and Evil. At stake is the future of innocence and the fate of the Kingdom. The soulmates are drawn into the epic conflict when Martak is called upon by the King to destroy Evil and protect the Princess. He embarks on a perilous voyage while Marianna suffers a tormenting encounter on land. Romance, mystery and adventure intertwine in a timeless story of the power of true love. If that doesn’t move you to read this book then I don’t know what will. Immediately I was in love with the art in this book. Just look at the inside! When I first opened the package I was excited. The book itself is thick, heavy, and much like a fairy tale should be. The pages glimmer and the pictures pop in full on colored illustrations. Upon scanning through them I was elated to curl up and read it, but I knew it would have to wait until my next flight. I am way too busy to curl up with a good read at home! Finally, on my trip to the Riviera Maya to explore the Sacred Mayan Journey, I was able to read it. Beautifully illustrated pictures can be found inside. Left the sea monster, right the little princess. I blew through the first 1/3rd of it on my flight over. Completely lost in the imagery of the forest and character development Martark, Marianna and little Princess Rosy. By the time I had landed I was eager to get to my hotel room just so I could finish the chapter! I was hooked! There was no time to read while I was in Mexico otherwise I would have been through this book in just a few days. I picked it up two more times to read and finished it on the third stint. Perfect size for a trip! I really hope Ellen writes a sequel to this tale. I’d love to see what other adventures could play out for little Princess Rosy and the destined couple. It’s an absolutely beautifully written story of love, tragedy, and heroism with a dash of adventure. From magic to sea monsters and everything between, this is a true fairy tale. Check out this beautiful adult fairy tale here. Now you can see the video for the all new screenplay! Did you read Ten Fingers Touching? Tell me about it here!